The Legend of Zelda: Twilight Princess was released on November 19, 2006. 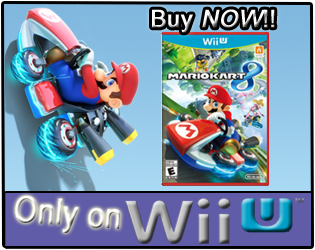 It was developed at Nintendo's EAD studio, and published by Nintendo for both the GameCube and Wii. The game received an ESRB rating of "Teen" with "Animated Blood, Fantasy Violence" listed as content for parents and gamers to be aware of. 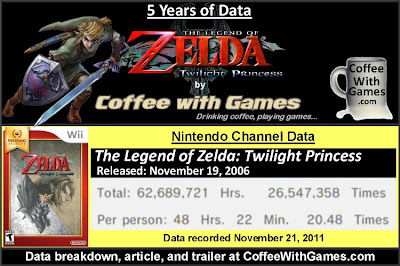 It has been half a decade since The Legend of Zelda: Twilight Princess was released on the Wii, and exactly how many hours have Wii owners reported playing Twilight Princess with 1,828 days possibly reported? Let's take a look! The Legend of Zelda: Twilight Princess now has 1,296,257 Wii owners that have reported game-play data through the Nintendo Channel, which is an increase of 74,354 more Wii owners that have reported data since May 16th this year. Twilight Princess' average play-time per day/session reported is 2 Hours 21 Minutes, and the game has increased by 3,933,722 "Total Hours" reported in the last 6 months. As I reported on earlier this year, Twilight Princess released with a MSRP of $49.99 and remained at that MSRP for basically 4.5 years. If you are just getting a Wii system, or know somebody that is getting one as a Christmas gift you can now find The Legend of Zelda: Twilight Princess for under $20, at its new MSRP of $19.99. 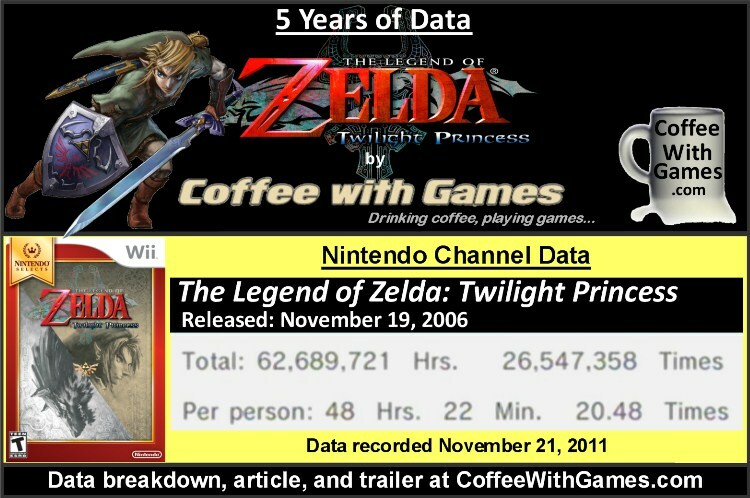 I believe The Legend of Zelda: Twilight Princess helped give the Wii system a great kickoff, and as the reported data shows (at least in the United States) Wii owners have gotten many hours of enjoyment out of the game. In just the last half decade since the game released, Wii owners in the United States have reported "Total Hours" which are equivalent to 7,156 years of straight game-play! Have any of you purchased and played Twilight Princess in the last 6 months since it had the price drop? If so, what do you think about the game? If you have not played The Legend of Zelda: Twilight Princess, do you perhaps have it on your Christmas list? Well, the article did say TP gave the Wii a "great kickoff." I'm sure we can all agree Wii Sports made the Wii the phenomenon it is. Somewhat ironic but I miss some of Twilight Princiess more intuitive gesture based controls to Skyward's specific angling off the Wii remote to get things done. I bought Twilight Princess at launch with my Wii. I made it past the Goron Mines, the second dungeon, but stopped for some reason I cannot remember. Regardless, I got back to the game, beat it, enjoyed it, and would definitely recommend it at its $20 price tag. I would have recommended it at fifty. I did an excellent job of staying away from work emails, blogs and most websites over the break, spending my time shopping, cooking, eating and of course.. playing video games. So, I won this title on an auction site, and it's going to a kiddo for Christmas. Bit overdue, but looking forward to finally getting to play it. I got the game for the gamecube because I didnt have a Wii by then. I understand that is the same game but "mirrored" so I can say that is a fine game. Not the best but not as boring as wind waker. And we all know that Wii was a huge phenomenon thanks to wii sports, not TP. Sorry to burst your bubble but I hate revisionism. Yea, for $20, you definitely get a great number of game-play hours. For $50, I felt it was worth my money, even though I haven't played/beat it but that one time. "So, I won this title on an auction site, and it's going to a kiddo for Christmas. Bit overdue, but looking forward to finally getting to play it." Oh wow, I didn't realize you hadn't played this one yet. 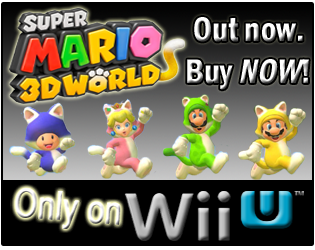 Yea, the Wii version is the exact same, just flipped for controls. As Keith mentioned below, I wasn't saying that Twilight Princess made the Wii a phenomenon, just that the game gave it a great start, and was a reason many Nintendo fans picked up the system day one. I would say, some of those same Nintendo fans that purchased the Wii for Twilight Princess, probably then enjoyed Wii Sports and shared that game with friends/family, helping to create the Wii phenomenon...so perhaps Twilight Princess helped in more ways than I even was thinking. Yea, "great kickoff", but not the system seller that Wii Sports became. Yea, the more "accurate" controls I think could hurt Skyward Sword's sales in the longrun, because the game does require more accuracy than simply a flick/twitch of the Wii Remote or a button press it seems. That alone could be a hindrance to players with disabilities, that may have enjoyed the previous Zelda games, but perhaps don't have the mobility to perform the motions Skyward Sword requires. Thank you all for the comments/feedback! Sorry it took me a week to reply on these.